PARENT ON BEHALF OF STUDENT. Eileen M. Cohn, Administrative Law Judge (ALJ), Office of Administrative Hearings (OAH), State of California, heard this matter on June 8, 2011, in Los Angeles, California. 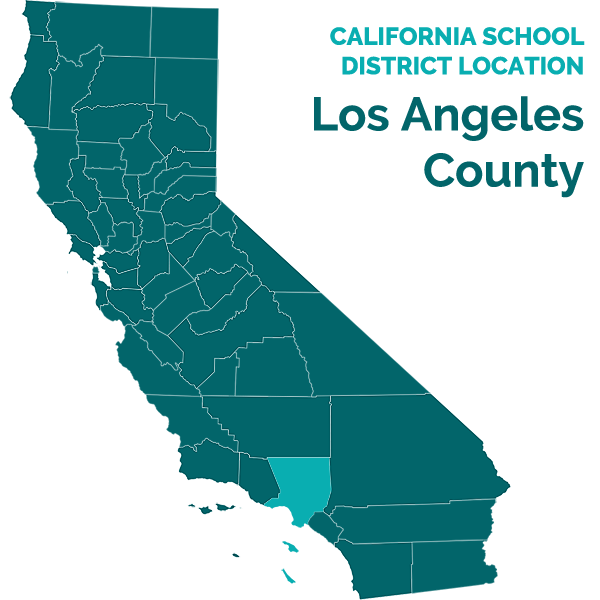 Los Angeles Unified School District (District) was represented at the hearing by Patrick Balucan, Associate General Counsel for District. Jeanique Wells, Ed. D., Due Process Specialist for District, was also present. District filed its Due Process Hearing request (complaint) on March 10, 2011, and a continuance was granted for good cause on April 4, 2011. Sworn testimony and documentary evidence were received at the hearing. At the conclusion of the hearing, District presented oral closing argument at which time the record was closed and the matter submitted. 1 Student’s parents (Parents) were duly served and afforded an opportunity to participate in these proceedings. All OAH notices and orders were translated to Spanish, and a Spanish-language interpreter was available for Parents at the telephonic prehearing conferences, as well as at the hearing. Parents moved to dismiss District’s complaint on March 16, 2011, which OAH denied. Parents failed to appear at the two telephonic prehearing conferences in this matter, on April 4, and June 1, 2011. Whether District is entitled to conduct a triennial assessment of Student in accordance with its October 11, 2010, assessment plan, without Parents’ consent. 1. Student is 16 years of age and resides with his parents within the jurisdictional boundaries of the District. Student has been eligible for special education under the category of mental retardation (MR) 2 since elementary school. Student attended Helen Bernstein High School (Bernstein High), a District school, until March 15, 2011. 2. Student’s last District assessment was in 2004, when he was a nine-year-old elementary school pupil. After Student’s 2004 assessment, Parents refused to consent to another District assessment. Student’s last agreed upon individual education program (IEP) was February 2, 2007. 3. Student’s next triennial assessment was due in the later half of the 2008-2009 school year. District prepared a notice and a proposed assessment plan written in Spanish, and sent them to Parents on March 3, 2009. District also included a document explaining in Spanish all the assessments, the range of assessment tools to be used in each assessment area, and a booklet, also written in Spanish, explaining to Parents the procedural safeguards. Thereafter, Student’s mother (Mother) agreed to meet with a staff member of Bernstein High’s special education office to discuss the assessment. Mother did not show up for the meeting. On March 9, 2009, the staff member called Student’s home and left a message for Mother. On March 16, 2009, District sent a second copy of the assessment plan to Mother, and attempted to follow up by making multiple calls to Mother, but was unsuccessful in reaching her. On March 31, 2009, the staff member spoke with Mother at the school about the assessment plan, but Mother advised that Student had been assessed somewhere else. Mother did not share any information or documentation with the staff member about the assessment. Mother agreed to meet again on April 2, 2009, but cancelled the appointment. Mother never contacted the staff member again. 4. On May 1, 2009, Assistant Principal Brandon Cohen sent Mother a certified letter in English requesting parental consent to Student’s triennial assessment plan. Mr. Cohen explained that Student’s triennial IEP review needed to be scheduled for no later than June 15, 2009. He repeated the proposed areas of Student’s assessment as detailed in Student’s assessment plan. He attached a copy of the assessment plan and the procedural safeguards written in Spanish, previously delivered to Mother. He notified Mother where she could send the assessment plan and provided a telephone number for her to reach him if she had any questions. 2 In October 2010, President Barak Obama signed “Rosa’s Law” which eliminated the term “mental retardation” in federal education law and substituted the term with “intellectual disability.” Mental retardation is used herein to ensure that the factual findings precisely reflect the hearing record and referenced IEPs. 5. On June 19, 2009, Mother signed the assessment plan, but on July 15, 2009, rescinded her permission in writing. 6. On September 8, 2009, at the beginning of the 2009-2010 school year, Mother delivered a letter in English to Assistant Principal Brandon further confirming her revocation of her June 19, 2009, consent to District’s triennial assessment. Mother stated that she did not want District to interview or evaluate him. Mother also stated she did not trust District, as she believed District had been sharing inaccurate information about Student and her family with other agencies. 7. On February 19, 2010, District sent Mother a notice and an assessment plan written in Spanish, and requested her consent. As it had in the past, District also included an explanation written in Spanish of all the assessment areas set forth in the form assessment plan, and the range of assessment tools to be used in each assessment area. 8. In a letter dated March 15, 2010, Mother stated that she would not consent to any District test, evaluation or observation. She maintained that District had placed false information in Student’s IEP, and in his evaluations. 9. On June 15, 2010, Mr. Smith personally handed Mother a notice and assessment plan written in Spanish, as well as an explanation of the assessments and assessment tools written in Spanish. Mr. Smith spoke to Mother about the assessments. Mother stated that she did not trust District. She did not consent to the assessment. 10. On October 11, 2010, District sent Parents, by certified mail, a notice and assessment plan written in Spanish, as well as an explanation of the assessments and assessment tools written in Spanish. As with the previous assessment plans, the plan stated that parental consent was required. District also attached a copy of Parents’ procedural rights. Parents received the letter. 11. As with all the assessment plans delivered to Parents since 2009, the October 11, 2010, assessment plan proposed to assess Student in the areas of: (1) general ability, by the school psychologist; (2) academic performance, by the special education teacher; (3) language function, by the speech and language therapist; (4) social-emotional status, by the school psychologist; and (5) career and vocational abilities, by the special education teacher. 12. Mother did not respond regarding the assessment. However, in a letter dated March 7, 2011, Mother notified District that she was removing Student from Bernstein High and placing him in a private Christian school beginning on March 14, 2011. Student stopped attending Bernstein High. 13. On March 10, 2011, District filed its due process complaint against Student. On March 31, 2011, Mother consented to the assessment plan. 14. On April 4, 2011, based upon its receipt of Mother’s consent to the assessment plan, District requested a continuance of the due process hearing for 60 days to complete the assessment. 15. On April 7, 2011, Mr. Smith sent a letter to Parents confirming receipt of the signed assessment plan, and notified them that the assessment must be completed within 60 days, or no later than March 31, 2011. Mr. Smith invited Parents to make an appointment with Student’s case manager, the school psychologist, and the school nurse to complete the assessment. 16. Thereafter, Bernstein High personnel made several attempts to telephone Parents to schedule assessment times. The school psychologist spoke with Mother and made an appointment to meet with her. However, Mother never appeared for the meeting. 17. In a final effort to convince Mother to present Student for assessment, Mr. Smith attempted to telephone Mother, but the telephone had been disconnected. Mr. Smith obtained another telephone number for Parents which connected him to voicemail. He left a voicemail message for Mother, but never received a response. 18. Mr. Smith testified at hearing. He was familiar with Student’s file and educational history, and since fall 2009 was directly involved as the special education bridge coordinator in trying to secure an assessment of Student. Mr. Smith explained that Student was last assessed in 2004; therefore, his goals and objectives were based on outdated assessment data. Mr. Smith represented that Bernstein High could not provide Student a FAPE without a reassessment and an IEP based upon recent assessment data. 1. In a special education administrative due process hearing, the party seeking relief has the burden of proving the essential elements of its claim. (Schaffer v. Weast (2005) 546 U.S. 49, 56-62 [126 S.Ct. 528, 163 L.Ed.2d 387].) District has the burden of proof in this matter. 2. District contends that District has an unequivocal right and legal obligation to conduct a triennial assessment of Student. District also contends that District did not agree to waive its right to conduct a triennial assessment at any of the IEP meetings predating the year the assessment was due. District contends that its assessment plan is appropriate and that the assessments are necessary to provide Student a FAPE because the assessment data in existence prior the proposed 2010 triennial assessment was out of date. 7. As a matter of law, District must assess Student every three years, unless an assessment is waived by both District and Student. In this matter, Student had not been assessed since 2004, as Parents refused to permit Student to participate in any further assessments. In order to override the parental consent requirement for triennial assessments, District must prove that it met all of the statutory requirements of notice to parents and must prove that the proposed assessment plan was appropriate. Student’s most recent triennial assessment was due in June 2009. The evidence showed that District, on multiple occasions, provided Parents triennial assessment plans covering the same assessment areas, an explanation of the proposed assessment areas, and a copy of Parents’ procedural rights, in Parents’ native language. Specifically, during the 2008-2009 school year, District provided Parents proposed assessment plans four times, on March 3, March 16, March 31 and May 1, 2009. During the 2009-2010 school year, District provided Parents two proposed assessment plans, on February 19, 2010, and June 15, 2010. During the 2010-2011 school year, District provided Parents a proposed assessment plan on October 11, 2010, which is the assessment plan at issue in this matter. As with the preceding assessment plans, the October 11, 2010, assessment plan complied with the requirements of the IDEA. The assessment plan was written in Student’s native language of Spanish. The assessment plan also identified the assessments that District proposed to conduct, the assessment tools it proposed to use, and the District staff who would be administering the assessments. Moreover, the assessment plan explained that Parents’ consent was necessary to assess Student. 8. Parents declined to provide their consent, despite District’s reasonable efforts to obtain it. As set forth above in Legal Conclusion 4, Parents were permitted 15 days to review, sign, and return the most recent assessment plan of October 11, 2010, but they elected not to do so. After delivery of the October 11, 2010, assessment plan, Mother did not sign the assessment plan until March 2011, after District filed its due process complaint. Yet, Parents failed to present Student for assessment, despite District’s multiple attempts to schedule assessment times. Clearly, Parents had no intention of having Student participate in his triennial assessment. 1. The District may assess Student pursuant to the October 11, 2010, assessment plan without parental consent. 2. District shall deliver to Parents by certified mail at their last known address, notice of the dates, times, and locations of the assessments set forth in the October 11, 2010, assessment plan. Parents shall present Student for the assessments on the dates, times, and at the locations set by District. 3. If Parents do not present Student for the various assessments set forth in the October 11, 2010, assessment plan, District may discontinue providing Student special education services, and shall not be obligated to provide further special education services until Parents request an assessment, present Student for all the assessments set forth in the assessment plan, and request District to convene an IEP team meeting for the purpose of developing an IEP based upon the completed assessments. The decision in a special education administrative due process hearing must indicate the extent to which each party prevailed on the issues heard and decided at the hearing. (Ed. Code, § 56507, subd. (d).) The District prevailed on the sole issue in this matter.